It’s difficult to imagine really; a world without Civilization. Civilization is at times a game of exploration, expansion, empire, management, espionage, diplomacy, government, culture, religion and conquest, and for the vast majority of us gamers and me as well it’s often times a combination of all of these at once. For me personally though the game is more than an empire simulator, it is perhaps very nearly the best modern method of both explaining and demonstrating the entirety of human history. The Civilization game is the embodiment of history translated into a modern form of entertainment – a computer game. This year marks the franchise’s 25th anniversary and to mark the occasion I’m composing a six-part documentary on the history of the franchise itself; from its humble beginnings in MicroProse, developing into one of the staples of gaming in the 90’s, the uncertainty of the game as MicroProse became the target of a lawsuit, Civilization’s renaissance in Firaxis Studios, the experimentation period where the formula was tested beyond the computer, the recent history of Civilization V and the polarization of the community, leading up to a review of Civilization VI and commentary on CivilizationEDU and the future of the franchise. I’m actually very humbled to be given the opportunity to talk about the game and its history, the game itself has in fact influenced my own life in a way I simply could not have anticipated. It was after picking up Civilization III and giving it a go for the first time – first time playing a game of Civ, first time losing to the computer, and also the first time I looked at the Civilopedia. It was that decision then that would reveal to me later in life my appreciation of global history and culture. I would find myself spending more time reading the pedia than actually playing the game, wanting to know about the figures and empires in history Firaxis chose to represent then. This interest then translated into an interest in ancient and medieval history that remains with me today. It is that interest with history and that connection with the Civilization franchise that drives me to learn all about how Civilization has affected modern strategy gaming and the reason why Civilization stands the test of time. It may be hard to imagine now in 2016 but there was indeed a time where Sid Meier was not the Science Advisor and spearmen did not beat tanks. We all know by now that Sid Meier launched Civilization in 1991; however that’s not the start of our story. In fact we have to go back further; before Sid began to develop the game, before Sid gained any interest in ‘god games’, even before Sid co-founded MicroProse – back to 1980 where a man from the UK developed a board game, of all things. The 1980 board game ‘Civilization’. Francis Tresham was a board game designer working for Hartland Trefoil when he developed the original Civilization board game, unlike the game we know today Civilization was specifically played within Mesopotamia and the eastern Mediterranean. The aim of the game is to advance one’s civilization to the Late Iron Age and became the most advanced civilization on the board. What’s amazing about learning about this game is that there is so much in it that can be found in not just Civilization V but in almost every single Civ game; population, trade, resources and science feature prominently in this game as well as conflict. In fact, while similar themed games of the time are conflict-based this game in fact compels the players to trade and co-operate with each other in order to succeed. However, arguably the biggest feature of the game which seems to strike a deep resemblance with the computer games is a rudimentary analogue to a technology tree. What are known as Civilization Cards – cards that represent ancient technologies and concepts such as Pottery, Metalworking, Music and Coinage – are bought sequentially and provide bonuses as the game progresses such as extra movement for naval vessels, taxation onto your cities and reducing the effects of calamities. The concept of a technology tree was so unheard of in 1980 that Francis Tresham is credited as the first game designer to create a technology tree in any form of a game. Today Tresham is still designing board games and is currently the managing director in his own board game company, Tresham Games. He’s even still building more of his famous 18xx board games, a series of historical and mostly railway-themed games which incidentally inspired Sid Meier to create the game Railroad Tycoon. As for the board game itself, Avalon Hill bought the rights to publish Civilization in the United States in 1981. Meanwhile, during the summer of 1982 the mutual friends of two people arranged to for them to meet in Las Vegas; one a retired military pilot for the US Air Force and the other a computer programmer. The programmer beat the pilot multiple times playing Red Baron and claimed he could design a better game in a week, the pilot promised he’d sell the game if he could. The pilot was Bill Stealey, the programmer was Sid Meier and Sid’s first game was Hellcat Ace. This was the founding of MicroProse. Right from the start Stealey and Meier endeavored to make flight and military simulation games for MicroProse; the first few years saw MicroProse gain its notoriety through games such as Spitfire Ace and NATO Commander. By 1987 the magazine Computer Gaming World held the company up as one of the top five computer game companies at the time, placing the independent company in the same rank as Electronic Arts and Activision. MicroProse began to hire a number of game designers from Avalon Hill as the decline of board games prompted the migration. One of the new staffers was Bruce Shelley; amongst other games Shelley is responsible with adapting Tresham’s 1829 railroad board game into 1830: the Game of Railroads and Robber Barons. However in 1989 Meier developed a change of heart, he saw the appeal and success of ‘god games’ – games that allow the player to control the elements of the game on a large scale, not unlike a divine entity controlling an entire world. Sid Meier observed the success of SimCity and Populous and especially with the former he was able to recognize that computer games have the capacity to entertain as the player builds up their objective. It is not known exactly when but by then Sid Meier was also working for MicroProse under a contract and was no longer an official employee of the company. Meier saw the potential in Shelley’s game design and background and thus decided to take him as his personal assistant. The pair is responsible for two games in MicroProse; both in 1990 they created Covert Action and the now legendary Railroad Tycoon. In spite of the great success of Railroad Tycoon the game didn’t fit into the archetype of previous games in the company’s catalogue, therefore as Meier and Shelley were developing the sequel to the game Bill Stealey cancelled the project. In that same year Meier and Shelley began a new project based on the board game Risk; this would ultimately be the prototype that would lead to Civilization. In spite of Bill Stealey’s concerns Railroad Tycoon was like Sid’s other games at MicroProse a huge success. Intriguingly, the original concept of Civilization was a real time strategy game heavily influenced by Railroad Tycoon and SimCity; however Stealey requested the team to refocus their energies in completing Covert Agent – which they did so promptly – before returning to their project. The brief hiatus from the prototype allowed the team to recognize that the RTS game was not working well and opted instead to turn it into a turn based strategy game. Meier and Shelley infused in the prototype the vast majority of the staples of what make a Civilization game here; military and civilian units, the technology tree, trade and taxation, all augmented with Meier’s coding artificial intelligence into the leaders. Finally the game was nearly complete; however one of its last hurdles was from the company itself. With Meier no longer the vice president of development in MicroProse and with the terms of his contract the vice president at the time was not at all incentivized by the production of the game as the role would gain no financial bonus from the publication of Civilization. Nevertheless Meier and Shelley did gain the help they needed to complete the publication of the game; in fact the name ‘Civilization’ came very late in the development. MicroProse was indeed aware of the 1980 board game and while Meier himself states that he has both seen and played the game before it played a very minor role in the influence of the computer game. 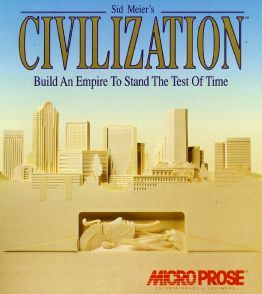 In order to avoid any possible legal matter MicroProse gained the license to use the name from Avalon Hill, and thus on September 1991 Sid Meier’s Civilization was released to the world. Sid Meier’s Civilization put up to seven nations to compete for dominance in each game. However, the animosity between Meier and MicroProse continued to affect the game; there was very little promotion or advertising for Civilization and thus the success of the game was based largely on word-of-mouth. The game then was ported to other computers and devises with the pair providing the code to contractors hired by MicroProse, including the Super Nintendo Entertainment System and the Sony PlayStation. No doubt MicroProse changed its tune with Civilization as it became the hit of the 90s; the gaming magazine Dragon reviewed the game in 1992 and the three reviewers described it as “one of the highest dollar-to-play-ratio entertainments we’ve enjoyed. The scope is enormous, the strategies border on being limitless, the excitement is genuinely high, and the experience is worth every dime of the game’s purchase price.” Computer Gaming World, the very same magazine who aided in MicroProse’s ascension, gave the game five out of five stars and gave it the title of Overall Game of the Year in 1992, added the game into its Hall of Fame in the following year, and declared is as the Best Game of All Time in 1996. It was therefore inevitable that MicroProse decided to develop a multiplayer version of the same game; CivNet. The game added very little else to Civilization, apart from adding LAN and internet connectivity as well as hotseat gameplay CivNet introduced a map editor and the ‘king builder’ where the player could customize the names and appearance of their civilization. The critical success of Civilization sparked as Meier put it a “golden period for MicroProse” where the game helped to foster the potential for more and similar strategy games. However friction continued between Bill Stealey and Sid Meier as Stealey pushed for military themed games while Meier continued to press for simulation games. Bruce Shelley was the first of the men to leave MicroProse in 1992, joining Ensemble Studios Shelley used his newfound experience in game design to create Age of Empires. Stealey pushed for MicroProse games to port onto console devises and into arcade versions of their games, unfortunately this caused the company to fall into debt and in turn Stealey sold MicroProse in 1993 to Spectrum Holobyte. Sid Meier remained under contract in MicroProse where along with Brain Reynolds, Jeff Briggs and Douglas Kaufman develop the sequel to Civilization as well as CivNet. The sequel brought about massively improved graphics and user interface as well as videos for wonders and advisors. Information on the development of Civilization II is scarce, what is known are the all-round improvements on the original game. The team improved the AI, forcing the computer to go through the same production requirements as the player does. Firepower and hitpoints dramatically improved warfare, the strength of your units were now determined in part by the era in which they were discovered, making Musketeers and Cavalry units much more powerful against Phalanx and Horsemen units. One of the more iconic additions to the game was the ‘High Council’; five advisors in the game that were characterized by actors who as the civilization evolved over the eras also changed their appearance and vernacular to suit the period. Just like the game before it Civilization II gained similar notoriety; the game was the 4th bestselling in 1996 and the 3rd bestselling the following year, Computer Gaming World declared it the Strategy Game of the Year and over time the game would rise to become the one of the highest rated and most regarded games of all time – IGN rated the game 15th in 2003’s 100 greatest games, four years later the game was risen to 3rd greatest. Computer Shopper declared the game’s Gold Edition “arguably the finest multiplayer game ever created” in 1999. However PC Games put it best this year, stating the game “cemented the franchise’s place in videogame history.” Less than a year after the release of the Civilization II MicroProse released the two expansions – Conflicts in Civilization and Civ II: Fantastic Worlds – in quick succession with mixed results as the majority of the content of the packs were scenarios and added very little to the game itself. 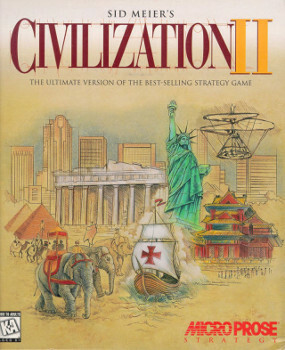 Civilization II: Gold Edition was released in 1997 and like CivNet before provided multiplayer functionality and hotseat gameplay, however certain parts of the gameplay were altered – notably the AI was constantly unfriendly to the player, rendering diplomacy in general pointless. And so the foundations of the franchise were laid; Meier’s bold idea to create an elegant, intricate strategy game where the player can choose their path to victory – by the sword or the stars – using the history of human civilization as the theme and backdrop struck a chord with the thinking gamers of the 1990s, demonstrating in a basic manner how to build and manage an empire across the ages. In spite of the obstacles MicroProse presented to Meier his contributions, especially Railroad Tycoon and Civilization, impressed the company into computer gaming history. This concludes the first part. The next part will discuss how Civilization, even as early as the first game, affected the game development industry with the rise of similar strategy games, and also the next major event in the franchise’s history – with the selling of MicroProse to a new company and Bill Stealey relinquishing his shares Spectrum Holobyte decided to consolidate the companies, thereby eliminating a number of MicroProse staff. Meier, Reynolds and Briggs elected to leave the company to form their own. To add to their troubles Activision purchased the rights to use the ‘Civilization’ name in 1997 from Avalon Hill and then sued MicroProse for infringement. All of a sudden the franchise was under assault by invaders, the future of Civilization was at stake. Activision released two games that are now regarded as de facto Civ games, the next article discusses these in great detail.